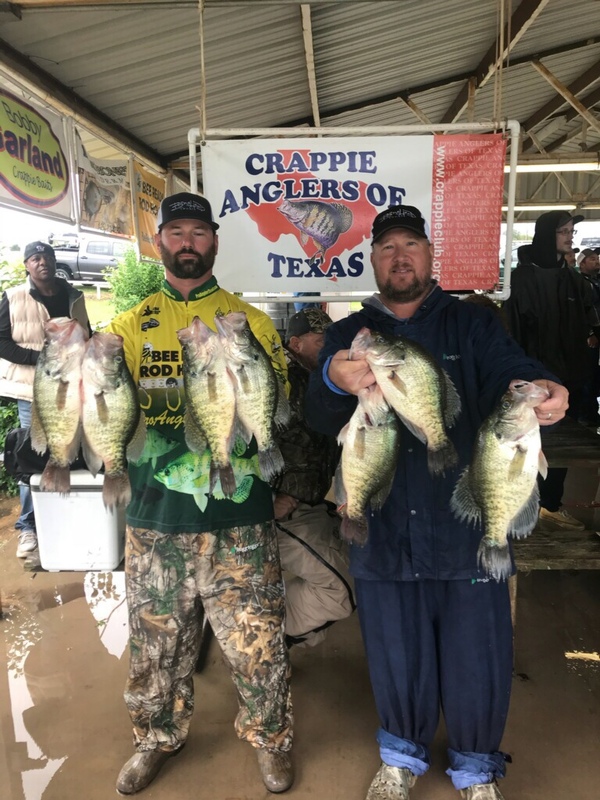 Texas State Crappie Championship 2018!! Well done Froebe! Well done! Some big fish turned in over all! Thanks! We had a blast both days. My left hands all cut to heck from pulling line up boat flipping crappie last 2 days. I'm gonna hafta wear a glove on my left hand or throw a roll of electrical tape in the boat and tape my fingers up!! Good problem to have!! Craig and those guys are ate up with fishing for crappie. I had to fight Craig to work fridays when he was building my shop. Friday's are for fishing! I'm with him!!! Since there's only a couple pieces of timber on Fork, what distinguishing characteristic makes you say, " there'll be a slab on this tree"? I trust my electronics 100pxt. I use hummingbird 360 for timber and it's worth it's weight in gold. Find submerged trees w fish on em. Drop jig where fish are on tree and catch crappie. Repeat till they quit biting or you catch em all and find another one! Most trees they like will have a limb under water at the depth crappie are at that time of year. Trees w limbs 12-16' were the ticket for us this weekend. This afternoon was pretty nasty down here...lots of rain, lightening and tornado warnings! You crappie guys amaze me. I couldn’t catch one in a bath tub with a net. Thanks! If you wanna trade trips again sometime let me know. Man it's good fishing right now. I might not ever pick my bow up at this rate!! Congrats, Slew and geaux Tigers! Beautiful info......Thanks. Congrats on the finish. Congratulations Slew and Bayou Bengals! What are we? 3 weeks away? I've slacked for sure on football watching and haven't even thought about the deer lease! Maybe they can put it together before then! Day 1 with little man we had 13.63 w 7 fish. Day 2 we got rained on all day and were cold and wet. Little man was smarter than us and stayed home! We still managed 13.03 with a 1.5 hour break for the lightning to pass! I'm not a fan of fishing in lightning with a 10' rod in my hand! You can only weigh in 7 fish per day? Correct. 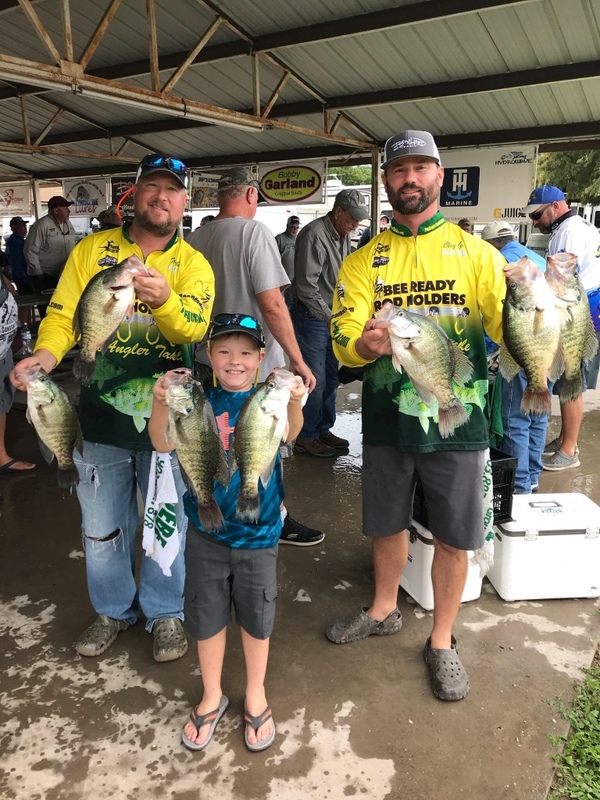 Crappie tourneys mostly weight in yours best 7 crappie and they must be alive! Dead fish are removed from your bag and not allowed to be replaced and your disqualified for bringing more than 7 to the scales. We only keep 8 fish in the livewell and cull as we go to not have too many. Keeping them alive adds a whole new dimension to it for sure! Holy crap the pictures. I’d compare that to a 30 lb. string of 5 bass. Incredible! Little man gets out of school early tomorrow and my systems are jacked up so I'm waiting on that to be resolved! Sounds like fishing may be in the forecast! !